Osiris was killed by his brother Seth and then resurrected by his wife Isis. It means he has been "there" and come back. 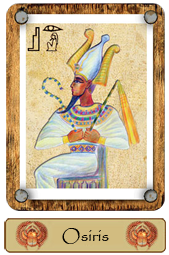 Osiris symbolizes rejuvenation and new beginnings. People born under his sign are skilful orators and organizers. They´ve got perfect intuition. They have a tendency to experience depression occasionally because of the usually active lifestyle. 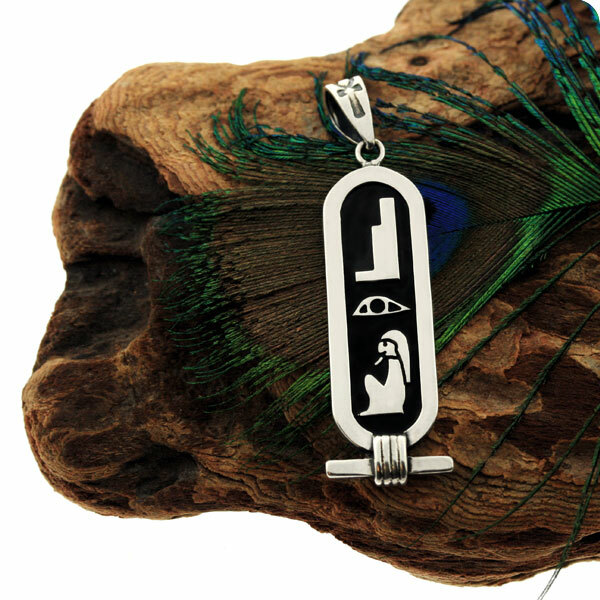 Egyptian Sterling silver Jewelry.Hieroglyphic symbols Name Cartouche of Osiris.